Purchasing a manufactured home, also known as a mobile home, can be one of the most affordable ways to become a homeowner. And just like every other homeowner, there are many options for financing and refinancing a mobile home. One unique perk for mobile home owners is the opportunity to refinance with drastically improved rates. Many older manufactured home refinance loans feature unfavorable terms like high-interest rates, balloon payments, and adjustable interest rates, so refinancing a new mobile home loan can save you money and give you more peace of mind. What are the benefits of locking in a new mobile home mortgage rate? Many refinancing loans catered to mobile home owners carry fixed interest rates for their entire term. Fixed-rates give you visibility into what the rate will be for the life of your loan. You will be able to calculate exactly how much money you could potentially save against your current loan. You can get “fully amortizing” loans which means a mortgage lender gives the borrower a loan amortization schedule, which allows the borrower to see how their loan payments work. A lender can break down how much of a payment goes toward principal and how much goes toward interest, each month over the life of the loan. This means there are no surprises with payments, which can be the case with ARM loans. 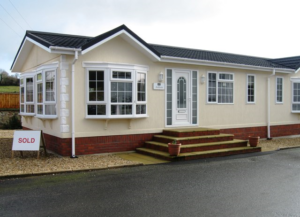 You can refinance mobilehomes even if you have relatively little equity. Lenders make manufactured and modular home refinances for loan to value ratios as high as 95 percent. If you have at least five percent equity, you can probably find a loan. Ending balloon payments. The word balloon indicates how expansive the payments for these types of loans can get. The final payment, compared to the other payments on a balloon loan can be double (or more) the amount of the loan’s previous payments. The home meets standards set by the Department of Housing and Urban Development. The manufactured home is considered real estate as opposed to personal property. In most instances, the homeowner needs to own the land that the mobile home is placed. Mobile home and land refinancing are much easier to find. It’s important for all homeowners to know where their credit history stands before applying for a loan. If you need to improve your credit score, it’s crucial to do so before applying to refinance. Applying for a loan before your credit is in order will only wind up costing you time, and potentially money. As long as your FICO score falls somewhere in the mid-600’s, lenders will let you refinance your mobile home. If you have a FICO score in the mid or high-700’s, though, you can get an even lower rate. In fact, going from a 665 to a 740 score can lower your rate by 10 percent. That’s like going from a 5.0 percent loan to a 4.5 percent loan. There are a variety of mobile home mortgage lenders who offer a wide range of programs, so shop around. Regional banks, credit unions, and community banks all have different terms, so take your time to do your research. A short-term fixed loan like a 5-year fixed rate will limit the amount of interest on your loan, and your mortgage will be paid off quickly. Keep in mind, a short-term fixed rate loan will require higher monthly payments. You can also take a more traditional approach by securing a 20 or 30-year fixed mortgage loan. These loans will accrue more interest than a short term fixed rate loan but will require a smaller monthly commitment for payments. Once you’ve landed a lender with acceptable terms, what’s next? Collect your paperwork and get ready for processing. Apart from credit score documentation, there are other factors that your lender will look at as well. You will have to have enough income to service your manufactured home mortgage and you will usually need to be able to document it with paystubs and W-2s. Mobile home mortgage lenders will also look at the configuration of your home. Typically, it will need to be at least a single-wide property with at least 600 square feet of living space. Some strict lenders may require a double-wide property. To get the best rates, you will probably end up with a lender that requires your manufactured home to be permanently attached to its utility connections and that requires that it have all towing hardware removed. After all, they don’t want you to drive away with their collateral. One of the biggest factors driving the availability of refinance mobile home loans is the role of government agencies and government sponsored entities. Freddie Mac, one of the largest buyers of traditional home mortgages also has programs where they buy and guarantee mobile home mortgages. They support lenders who make fixed and adjustable rate mortgages of up to 30 years in length and with LTVs as high as 95 percent, as long as the homes are permanently attached to the land. Freddie Mac even supports cash-out refinancing loans. This makes loans on qualifying mobile homes much cheaper. The same Federal Housing Administration that helps banks offer low-down programs to traditional homeowner also provides a similar program for mobile home owners. FHA’s HUD-1 loan program allows you to take out 15-year loan on a lot, a 20-year loan on a home or a home and a lot and a 25-year loan on a multi-section home and lot. They require that your loan is fixed, saving you from the risk of adjusting interest rates. While FHA loans have limits of $69,678 for a home, $23,226 for a lot or $92,904 for a home and lot, they can lend you more money for your lot in certain high-cost areas. These loans give you access to very low rates and relaxed qualifying guidelines. If you’re underwater on your manufactured home, and your original loan is owned or backed by Fannie Mae or Freddie Mac, you may be eligible for the Home Affordable Refinance Program. While it used to be that you were at the mercy of your dealer’s finance office when you needed to take out a manufactured home loan, things are very different in today’s market. Between the wide availability of money from government-sponsored lending programs and the increased competitiveness of the private lending market, great refinancing opportunities are consistently available. Today’s manufactured home refinancing can save you hundreds of dollars a month whether you are looking to refinance just a small single-wide home or a large modular home with land. There is a big difference between a modular home and a mobile home, so let’s address it quickly. Modular homes are similar to normal single-family homes and they follow the same construction codes. Generally, modular homes are built up at a plant or facility, in several pieces, and then transported to the building site. Financing and refinancing options are different for modular and mobile homes. There are several mortgage companies offering mortgages and refinancing for modular homes. Watch the forecast interest rates. Economists have predicted that interest rates are more likely to go up than down in the near future. If you believe you are in a strong financial position to refinance, you should get in touch with a lender or mortgage broker to get started on your new refinance soon. The lower the interest rates you can secure, the more money you will save in the long run. There are several mortgage companies offering mortgages and refinancing for modular homes.